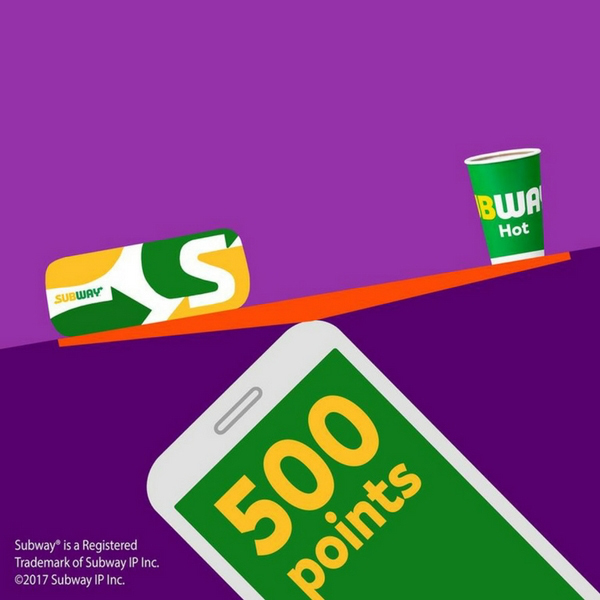 With a Subcard, you’ll get points every time your make a purchase in-store at Subway. You can redeem these to get free subs, snacks and drinks and when you sign-up in-store you will also be rewarded with double points. Simply swipe your card at the till and soon you will be enjoying tasty rewards of salads, sandwiches, sides and drinks.